Home Providers James Manzanares, M.D. 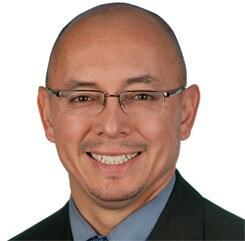 Meet Orthopaedic Surgeon Dr. James Manzanares, M.D. Dr. Manzanares completed medical school and his Residency at the Mayo Clinic in Rochester, Minnesota. He has also completed dual Fellowships, both in Pediatric Orthopaedics at the Nemours Children’s Clinic as well as in Advanced Spine Reconstruction at the Johns Hopkins School of Medicine.